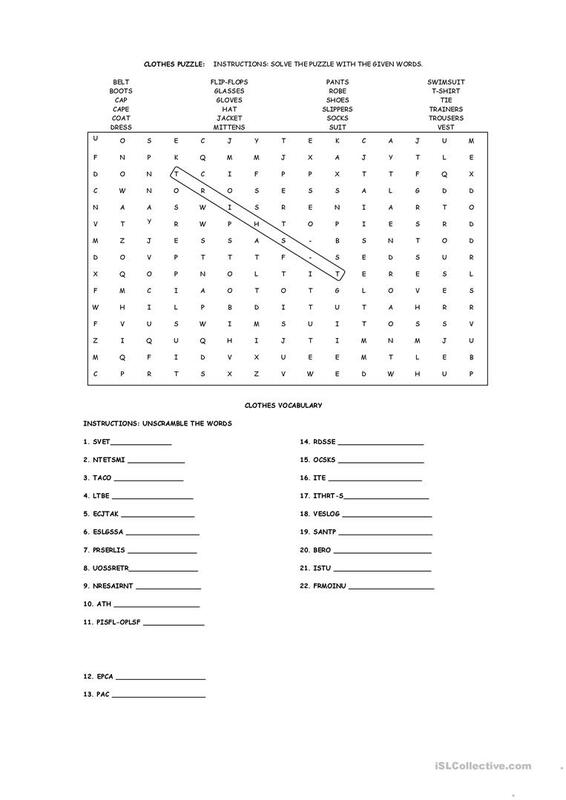 The present downloadable teaching material was created for elementary school students at Elementary (A1) level. It can be used for developing your class' Writing skills. It is focused on the topic and words of Clothes, fashion.